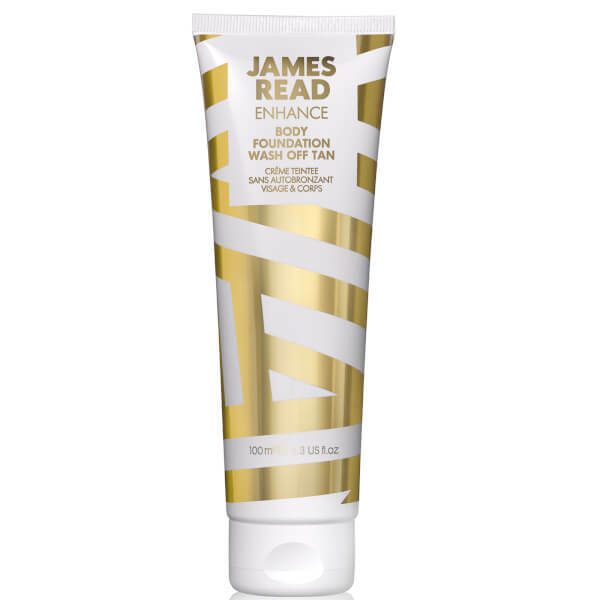 Achieve a golden airbrushed without the commitment with the Body Foundation Wash Off Tan from James Read; an easy-to-apply, wash-off tan that delivers a smooth, even and streak-free radiance and effortlessly covers up imperfections. Lightweight, quick-drying and water-resistant, the coconut and vanilla-scented formula allows you build up your colour with a second layer for a deeply glow. For a subtler sun-kissed finish, just mix with your daily moisturiser. 1. 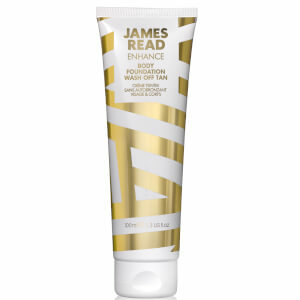 Apply a pea sized amount to Tanning Mitt and sweep over the skin blending thoroughly. 2. For a deeper shade, apply a second coat. 3. For a lighter shade, mix with moisturiser. 4. Allow to dry for 3 to 4 minutes before dressing. 5. Wash off using soap and water. Suitable for face and body. Aqua (Water), Cyclopentasiloxane, Phenyl Trimethicone, Sodium Acrylate/Sodium Acryloyldimethyl Taurate Copolymer, Isohexadecane, Dimethiconol, Parfum (Fragrance), Polyacrylate Crosspolymer-11, Polysorbate 80, Ethylhexylglycerin, Sorbitan Oleate, Disodium EDTA, Aloe Barbadensis (Aloe Vera) Leaf Juice, Sodium Hydroxide, Citric Acid, Phenoxyethanol, Potassium Sorbate, Sodium Benzoate, CI 77891 (Titanium Dioxide), CI 77492 (Iron Oxide), CI 77491 (Iron Oxide), CI 77499 (Iron Oxide).